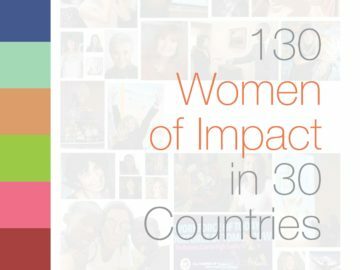 This is your opportunity to support and meet a number of the impactmania’s 130 Women of Impact. This multifaceted project looks at the accomplishments of women in 30 countries and is represented by an online archive and book featuring in-depth interviews and an exhibition at the Art, Design & Architecture (AD&A) Museum, University of California, Santa Barbara. We welcome your participation and inclusion in the July 19, 2018 official book launch and opening of the exhibition. A number of interviewees from all over the country and as far as Brazil and New Zealand will be participating in a panel discussion at this event, followed by a public reception. 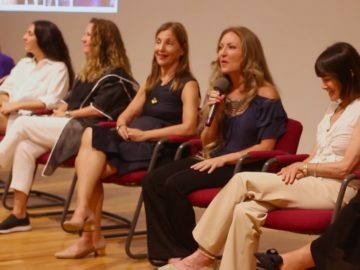 Additionally, visitors (to the Museum and online) will be able to see the exhibition that shows video and voice excerpts from interviews and offers the opportunity and tools to connect with women of impact in their own communities. 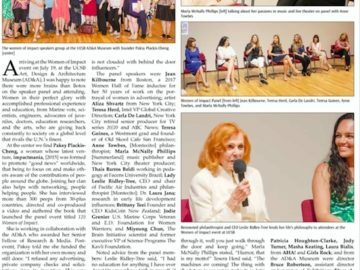 The exhibition will be on view through September 2, 2018 welcoming students, faculty, and the community-at-large to witness the cultural, social, and economic impact driven by women in the world. We thank you in advance for considering a gift to support this far-reaching project. 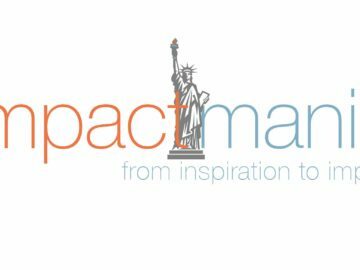 We would be delighted to offer you special recognition for making a meaningful gift to the AD&A Museum in support of impactmania’s 130 Women of Impact programs and events. Access to the Museum to host a private party for your clients, and/or staff during the exhibition. Company logo on AD&A Museum and impactmania’s websites, press release, invitation, program (only available for contributions received before May 30, 2018. 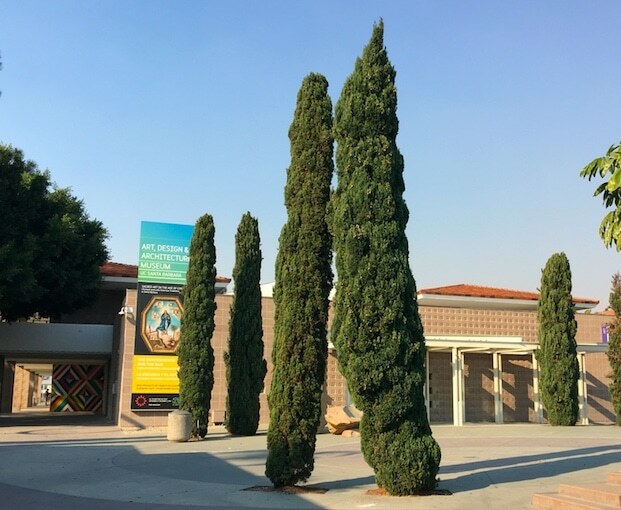 It is the policy of the University of California, Santa Barbara and the UC Santa Barbara Foundation that a modest portion of gifts and/or the income from gifts may be used to defray the costs of raising and administering funds. The current assessment is 6%.